For years, only the largest law enforcement and federal agencies could afford to purchase these types of advanced tools. 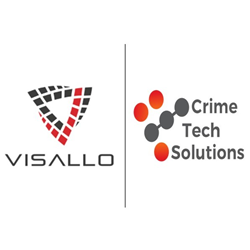 Visallo, the Sterling, VA based provider of investigation analytics software, today announced a strategic partnership with Crime Tech Solutions out of Leander, TX. According to Jeff Kunkle, President of Visallo, the partnership enhances his company’s suite of easy-to-use, web-based data visualization tools for investigative link analysis, data discovery, crime analytics and geospatial analysis with Crime Tech Solutions’ powerful and flexible Case Closed investigation case management software. “Visallo is designed for intelligence analysts, law enforcement investigators, and fraud analysts who need easy to use tools to help them discover and visualize complex relationships within vast amounts of data without resorting to time-consuming, ad-hoc, and error-prone manual processes," said Mr. Kunkle. “These are analysts that want to make sure they don’t miss important non-obvious insights during their investigations, want to produce more accurate, thorough, and defensible conclusions, and ultimately seek to be more accomplished investigators able to tackle the toughest cases." The companies have indicated that integration efforts are already underway to ensure a seamless and user-friendly experience. Visallo helps investigators of all types produce more accurate, thorough, and timely analysis with a software platform to help them discover, visualize, and understand complex relationships hidden in massive amounts of data. Visallo’s all-in-one suite of easy-to-use, web-based, visualization tools and machine learning data analysis algorithms augment the investigator’s hard-earned experience and intuition with data-driven insights that would be difficult, if not impossible, to discover otherwise. Crime Tech Solutions develops and markets a robust suite of powerful software solutions designed for intelligence and investigation teams. Their flagship products include the popular Case Closed™ investigation platform and IntelNexus™, an advanced criminal intelligence management software.